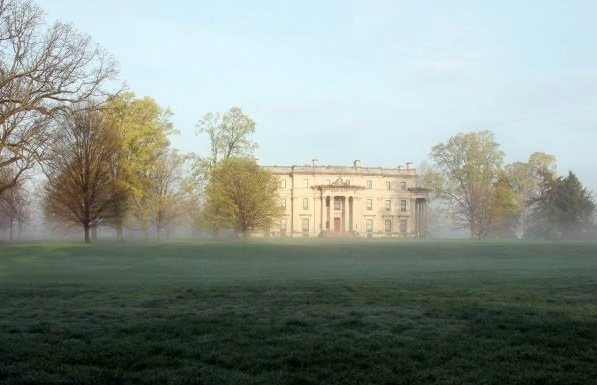 The Livingston's Founding Family of the Hudson Clermont State Historic Site This majestic mansion on the Hudson River bluffs initiates the start of the Livingston lineage and aristocratic life in the Hudson Valley. Share intimate details of the blue-blooded family's home life with photographs, stories, and music straight from their collections! 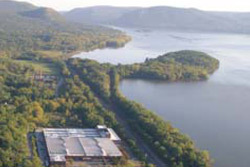 Tours include detailed family stories about its matriarch Margaret Beekman Livingston and son, Chancellor Robert Livingston who accomplishments include the Louisiana Purchase, signing the United States Declaration of Independence, swearing in General George Washington as America's first President and co-inventing the practical steamboat. Groups can add a gourmet boxed lunch to enjoy the gardens, grassy croquet courts and exquisite river views. Tour options include main house, garden tours, Legends by Candlelight and holiday tours. In this extraordinary museum, visitors are allowed an unparalleled direct experience with art. The expansive spaces and natural lighting are uniquely suited to the needs of large-scale installations, paintings, and sculptures. Each gallery was designed specifically for the art it contains. 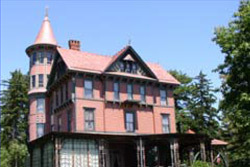 Victorian Time Capsule Tour Wilderstein Historic Site Step back in time to Hudson Valley Victoriana at its finest. Discover the mansion's magical Queen Anne architecture and lavish interiors and become captivated by Margaret (Daisy) Suckley and her remarkable role in the life of Franklin Delano Roosevelt. 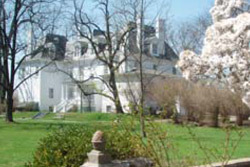 Stay for tea and stroll the estate's romantic landscape with breathtaking views of the Hudson River. White Glove Tour Mount Gulian Historic Site Don white gloves to examine artifacts of the Verplanck home site. 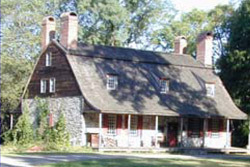 Experience 400 years of historical accounts of the Wappinger Indians, the Dutch Colonials, the Society of the Cincinnati, General Von Steuben & The Revolutionary War, the personal journals of escaped slave, James F. Brown and the letters of Lieutenant Robert Verplanck during The Civil War. Considered one of the top wineries in New York & Hudson Valley's first vinifera vineyard, the tour at Millbrook offers an enriching, multi-sensory experience, giving you an insider view into the art of winemaking. Afterward, relax and enjoy a wine tasting while you take in the picturesque estate framed by the neighboring mountain vista. 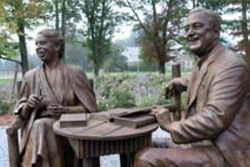 FDR: The Leader at Home Franklin D. Roosevelt Home & Presidential Library Enjoy the natural, peaceful setting at the family home that helped shape the heart and mind of America's 32nd president. The enhanced guided home tour features stories, audio, letters, and photographs that reveal insight into the man whose dynamic role and countless contributions to American history have profound relevance to the challenges of today. Assigned the character of servant at this extraordinary mansion; you will learn all about your role in the meticulous running of the Vanderbilt household as you tour the mansion from behind the scenes. Note: Tour includes climbing a staircase of 74 steps. Comfortable shoes, a healthy heart and a bright attitude are strongly recommended. Themed Tours at Staatsburgh State Historic Site America's Elite in the Downton Abbey Era Tour highlights Staatsburgh's real-life counterparts of the Downton Abbey characters, this tour, led by a costumed interpreter, draws parallels to the plot of the popular TV drama and describes Mrs. Mills' lavish entertaining at the mansion. 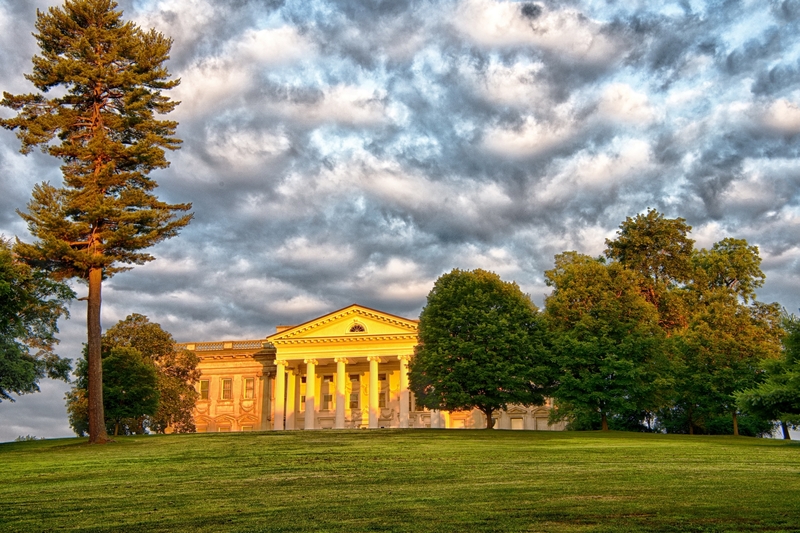 ----- Gilded Age Scandals Tour - While Staatsburgh's owners were paragons of respectability, some of their Gilded Age peers were not. This tour highlights the extravagances and misbehaviors of America's elite. ----- Tales of the Titanic Tour - Ruth & Odgen Mills had tickets to sail on the Titanic's return trip from New York to Europe. When the ocean liner sank on its maiden voyage, Gilded Age aristocracy was rocked to its core. This tour shares family stories and features the mansion rooms that resemble theships's first class accommodations. ----- World War I and the End of the Gilded Age - 100 years ago, the devastation of WWI brought an end to the excuses of the Gilded Age. This tour explores how Staatsburgh's extravagant way of life withered away in the cataclysm of The Great War. Despite a less than festive topic, the tour repeatedly receives high praise as both informative and entertaining.